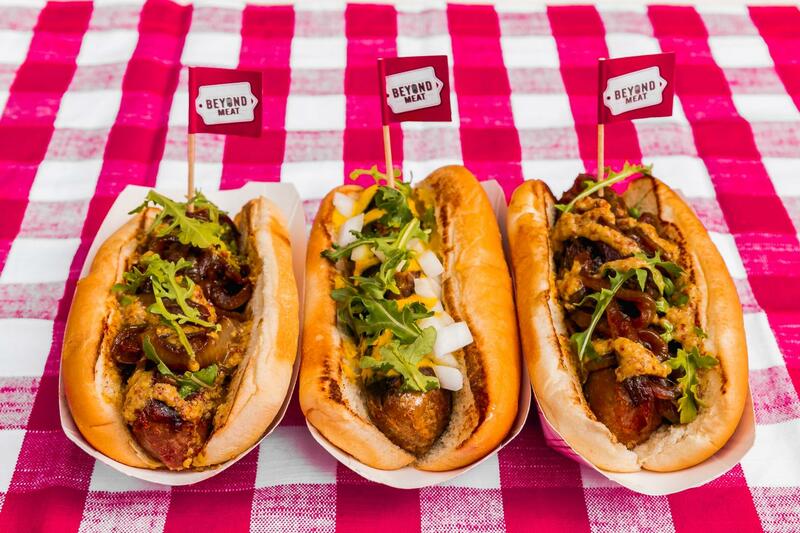 Original Article: "Bite into Beyond Sausage Bratwurst at M Burger for a limited time"
Plant-based protein alternatives have been stepping up their game in the last year-plus, with Impossible Foods-brand meat getting rave reviews in burger form at M Burger and other restaurants. This time, M Burger will give sausage a turn, as the fast-casual joint will serve a bratwurst from Impossible competitor Beyond Meat. The Beyond Sausage Bratwurst will be available at all five of M Burger’s Chicagoland locations for a limited time. The sausage purports to be a spitting imitation of a pork bratwurst, and, as you can see above, it at least looks the part. If it’s anything close to the burger, it should taste the part as well. M Burger’s brat will be served with fresh arugula, grilled or raw onions, as well as whole grain or Dijon mustard — all for $6.79.